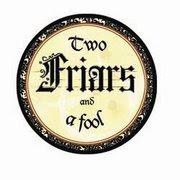 Two Friars and a Fool come by to explain why they think you should stop praying. It’s an interesting conversation about their concept of prayer and action. Make sure to check out Phillips Theological Seminary ahead of our AAR event!